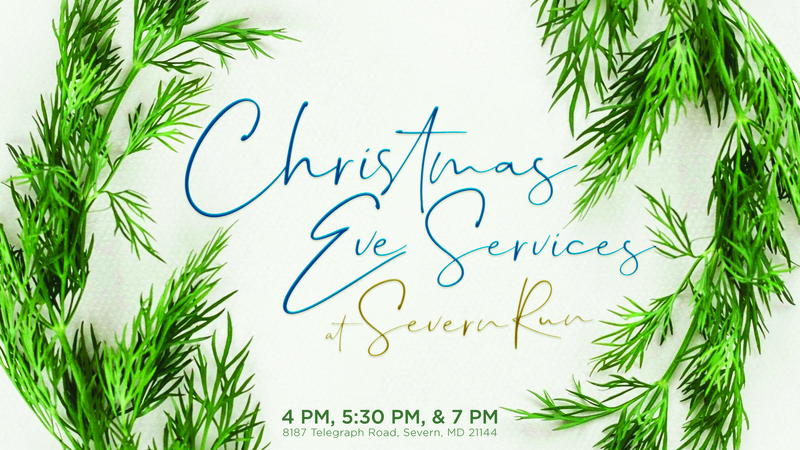 You're invited to Severn Run for Christmas Eve Services! The holidays can be so busy that we end up just not feeling it by the time Christmas finally rolls around. Here at Severn Run we want to help you combat the stress and outpour of the Christmas season by providing you with an experience that will refresh and enrich you! Come for warm drinks, a comfortable environment, and free childcare and then stay for the life-giving connections you will make with other people! We will have a short service with familiar songs and a message filled with Good News. You deserve a moment to breathe this Christmas Season! Children ages birth through 4 years are invited to a unique age-appropriate service of their own during each service time. What are you going to talk about in service? What do you really believe? What is it that motivates you into action? Or do you find yourself living one moment to the next driven by emotions and circumstances. We all want an anchoring belief, and this Christmas we can learn how to get just that. We have amazing Kid Time options for kids from Birth-4 years old. We ensure excellent care, a relevant message, and top of the line security for your kids. And did we mention that they will have a ton of fun? If you're more comfortable having your kids with you, they are welcome to join you in our main worship service as well. At Severn Run, we don't really care how you dress. Wear your best Christmas sweater or come in jeans and T-shirt, we just want you to be you because God uniquely created you, and you matter! If it's your first time, we have special parking spots waiting just for you near our main worship center doors. As you come onto our campus, turn on your flashers to let us know it's your first time and we will direct you to the right place. You can expect the service to last about an hour. Don't forget to allow yourself the time to check in your kids or grab a cup of coffee ahead of time. Well, one of our favorite parts about Severn Run services is that you never know exactly what to expect! Let's just say, you won't want to be late! What if I won't be in town, but still want to participate? Fear not! We will be live streaming our Christmas Eve Services via our Facebook page. Be sure to follow us so you get the notification of when we begin.